Don't let foot or ankle pain slow you down! Children's foot care is just one of our specialties. Say goodbye to heel pain! Podiatrist Larry Cohen, DPM located in Midtown Manhattan, NY, is dedicated to getting to the root of your foot or ankle problem. 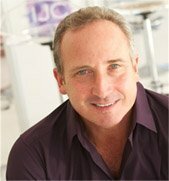 Dr. Cohen specializes in foot surgery and minimal incision surgical techniques, sports medicine, laser fungal nail treatment, HyProCure procedures and more. We are a full service office that can handle anything from ingrown nails to foot surgery. Dr. Cohen's surgical facility is accredited by the Joint Commission for meeting high standards of care. To learn more about the Joint Commission, click here. Having chronic foot and ankle pain can greatly affect the quality of your life, and Dr. Cohen understands that. We also know how hectic things can be and we are committed to making our practice and care convenient and accessible.